Looking to get your truck power window repair Las Vegas done today? California Auto Glass Inc is waiting for you right now. We have thousands of motor parts and side power windows for any truck. Any model, year, and make of any truck to better service you. Whether you have a GMC truck, a Ford truck or a any other truck. We want to provide fast reliable service and turnaround time. Power windows are a very important component to your truck. There could be days that are very windy and you don’t want dusty blowing air inside your truck. On rainy days you don’t want rain pouring inside your seats and damaging them. California Auto Glass be with you every step of the way. From your first call we can provide a quick price. If you are unable to come to us, don’t worry we can come to you. We provide auto glass repair an replacements from makers such as Burco, Carlite, Line, PPG, and Sika. We have very low price power window repairs Las Vegas and Henderson. Can’t come to us? Don’t worry with our mobile auto service we can provide service to your area. 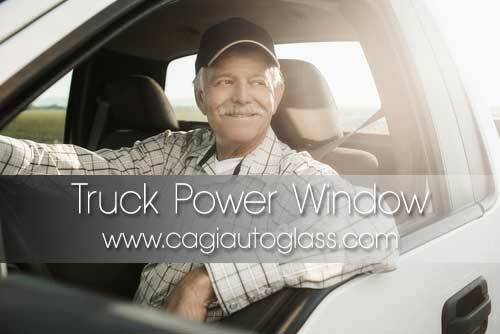 Get your truck power window repair Las Vegas today! We are open everyday 7 days a week ready to take on your power windows any time. Call us and will have it delivered and installed today!